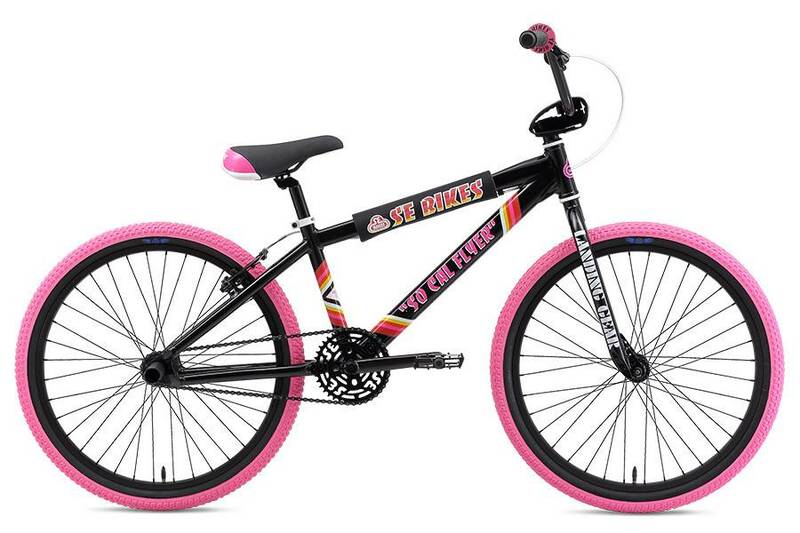 Be the fresh kid on the block with the 2019 So Cal Flyer in black with pink details! New this year are the Big Honkinish cruiser bars, super grippy Flyer seat, Vee Cub x SE tires, and new SE Bikes Life grips equipped with SE donuts. In addition, there's a set of wheelie pegs and a newly designed SE Bikes Life number plate. 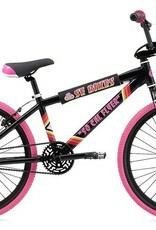 The So Cal sets the new standard for 24” wheelie bikes.